This existing site was refurbished in August 2011 to modernize it and to make it more user friendly to the general public. 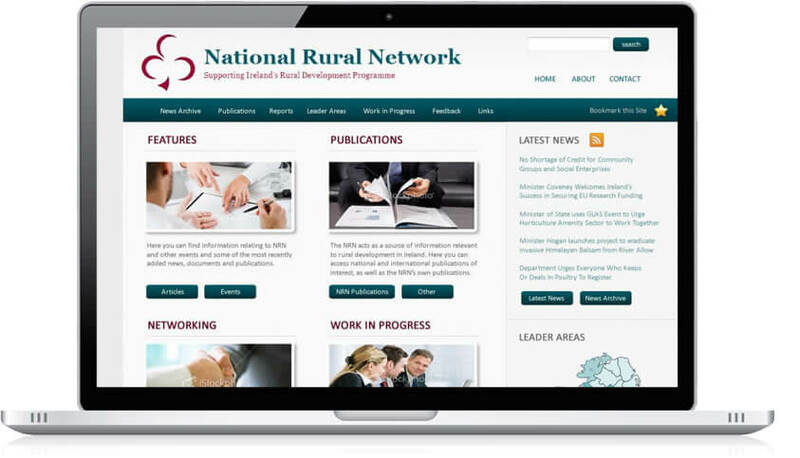 The purpose of the NRN is to assist in the efficient and effective implementation of the Rural Development Programme. The key area of this redesigned website is the homepage. The fundamental areas of the network are identifiable and clear navigation links are provided to this information. The site is also used to notify people of upcoming seminars, conventions and workshops via the latest news section in the Content Management System and there is also an opportunity to provide feedback via an integrated form.